Provides cash assistance and work services to low-income families with children to help them with basic needs while they work toward becoming self-sufficient. This program is provided under the federal Temporary Assistance for Needy Families (TANF) block grant. ATAP changed the traditional focus of the state’s public assistance program for needy families to an employment-focused program from an entitlement under the Aid to Families with Dependent Children (AFDC) program. 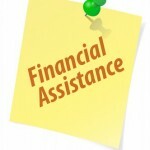 Temporary Assistance stresses family self-sufficiency through employment. Prohibits making purchases with or accessing cash benefits on EBT cards at any ATMs that are located in bars, liquor stores, gambling or adult entertainment establishments. To receive Temporary Assistance, the family must have less than $2,000 in countable resources, or $3,000 if the family includes an individual who is 60 or older. Resources that do not count include the family’s home, household goods and personal property, and most vehicles. If you are transitioning off of the Alaska Temporary Assistance Program, you may be eligible for assistance for up to twelve months from the PASS II Child Care Assistance Program. The Municipality of Anchorage Child Care Assistance Program offers PASS II and PASS III assistance. The Program provides coverage for children under the age of 13 and children with special needs up to age 19. The PASS 1 program provides child care assistance for families receiving benefits under the Alaska Temporary Assistance Program and is available through the Alaska Public Assistance office at 269-6000.